Each item has a record which contains the item name, unit, packaging, sale prices, and more. The possibility of opening a large number of stores. Record inventory transactions of all types which include: Purchase orders, Purchase returns, Cash and credit sales, Sales returns, Quotations, Issues to cost centers and transfers and stock reservations. Recording of reordering limit and the subsequent reports. Recording of actual stock and comparing it to documented stock. Detailed reports of item transactions show every type of transaction, in a separate column and ordered by the recorded date of transaction. 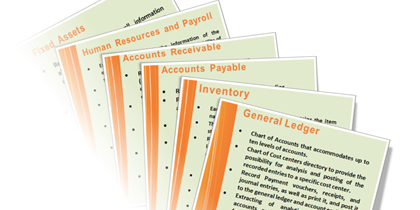 Reports on items stock, with control over the report content by adding the required columns. Control over the date of expiry of the items. Report for the issued items to a cost center during a period. Print barcode labels for items from the software and deal with points of sale. 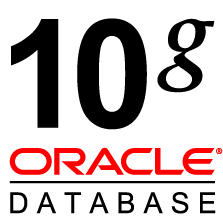 The systems work using Oracle Database 10g. Amazing reports generation with exclusive features of choosing filtration criteria. 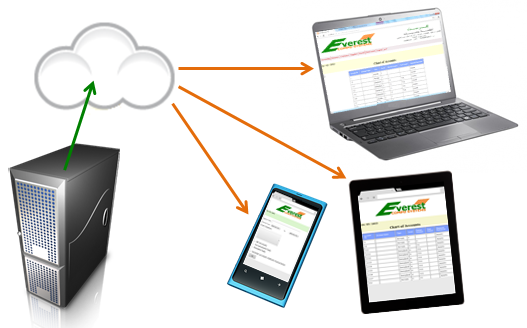 Beside the main desktop application, Everest presents the web application, that facilitates secure access to your business data anywhere from any PC, tablet, or smart phone via the internet. 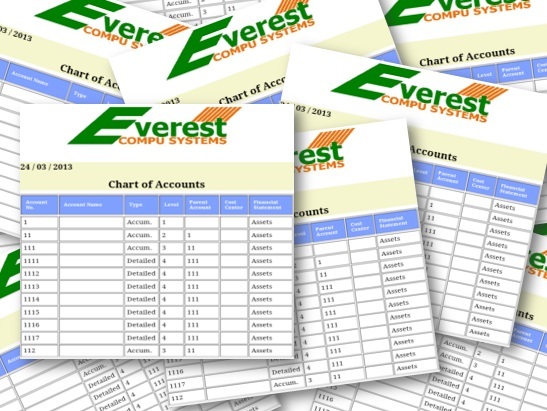 "Everest Compu Systems" is a company specialized in the software industry and information technology. With more than twenty years of continued diligence work in the Arab Gulf market, we have built valuable experience and market position. Follow us on social media, interact with us and find out about our latest news.